Find the best last-minute accommodation offers in Punta Cana. Punta Cana is a lively town with flawless beaches featuring an extensive accommodation network conformed by a wide diversity of hotels, apartments and aparthotels. To find the best offers, select your arrival and departure dates and check out the options. You can order and filter your results by several criteria. 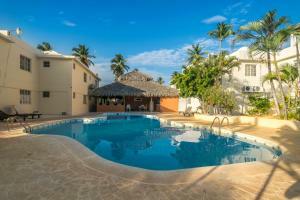 Featuring free WiFi, Villa in Dominicana is a villa situated in Punta Cana, 18 km from freshwater lagoons. 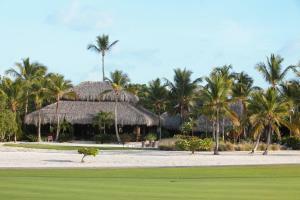 The villa is 19 km from Cap Cana Marina. Free private parking is available on site. 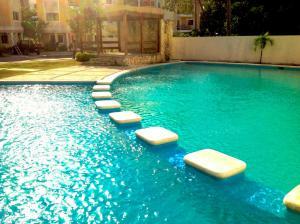 Set 19 km from freshwater lagoons in Punta Cana, this apartment features a terrace. 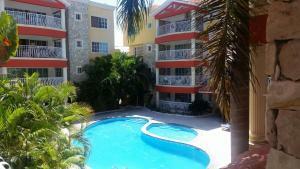 The property is 20 km from Cap Cana Marina and free private parking is offered. Set in the Bavaro district in Punta Cana, 20 km from freshwater lagoons, Sweet Dreams Hostel features a restaurant, bar and free WiFi in common areas. Free private parking is available on site. Situated in the Bavaro district in Punta Cana, 20 km from freshwater lagoons, Hotel Canela features free WiFi access and free private parking. Certain units feature views of the garden or city. 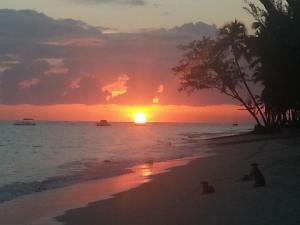 Villas del Sol II offers accommodation in Costa Bavaro Resort. It offers a Club House with a pool, gazebo, hot tub as well as a kids and lobby area. 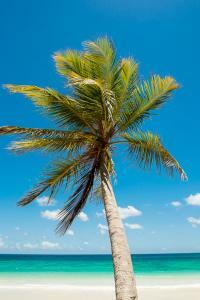 Guesthouse Caribe Punta Cana offers free WiFi throughout the property and free private parking is available on site. 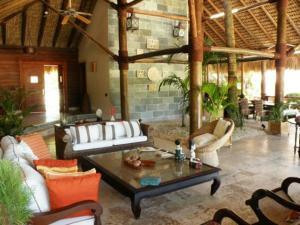 Situated in Punta Cana, Beach House Merengue Ocean View offers a garden and spa centre. Freshwater lagoons is 19 km away. Free WiFi is offered throughout the property. Situated 300 metres from Serena Beach in Punta Cana, this air-conditioned villa features a garden with an outdoor pool and a barbecue. It provides free private parking. Free WiFi is featured throughout the property. 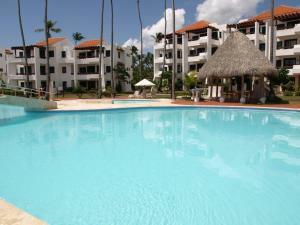 Set 33 km from freshwater lagoons in Punta Cana, this apartment features free WiFi. The apartment is 34 km from Playa Juanillo. Set 4.3 km from Playa Juanillo in Punta Cana, this air-conditioned holiday home features a barbecue. 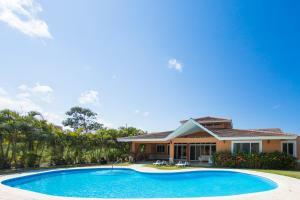 The property features views of the pool and is 6 km from Cap Cana Marina. Free private parking is available on site. Las Iguanas 55 is a villa located in Punta Cana, 3.6 km from Playa Juanillo. The villa is 5 km from Cap Cana Marina. Free private parking is available on site. Aquamarina 823 offers accommodation in Punta Cana, 200 metres from Cap Cana Marina. The air-conditioned unit is 1.5 km from Playa Juanillo. Free private parking is available on site. Featuring free WiFi and a patio, Villa Caleton #5 is a villa, set in Punta Cana. 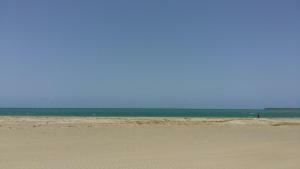 The property is 6 km from Playa Juanillo and free private parking is featured. NATTY'S BEACH, Punta Cana, RD. 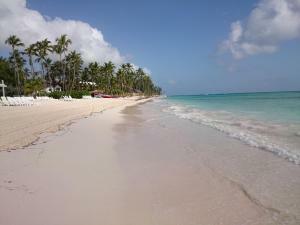 Offers accommodation in Punta Cana. Free WiFi is available throughout the property and free private parking is available on site. 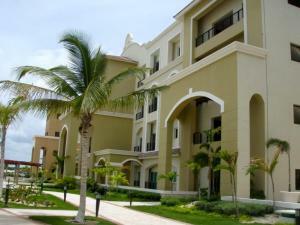 Offering accommodation with air conditioning, Los Corales Aralit Condos is set in El Cortecito, 8 km from Punta Cana. Free WiFi is featured throughout the property and free private parking is available on site.